1. Stand with your feet shoulder-width apart and hold a dumbbell with your both hands. Now, squat while positioning the dumbbell under and behind you. 2. 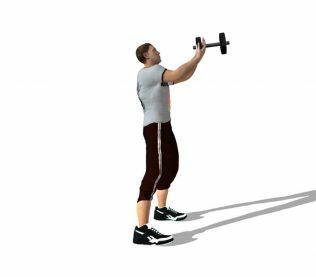 As you stand back up, swing the dumbbell forward until it is leveled with your eyes, returning to the starting position.